Pregnancy or not, most people don’t enjoy gaining weight. I get that. But it can particularly difficult to handle after you’ve achieved signifiant weight loss success. After spending years counting calories, weighing food and measuring serving sizes, there is something very counterintuitive about watching the scale creep up week after week. 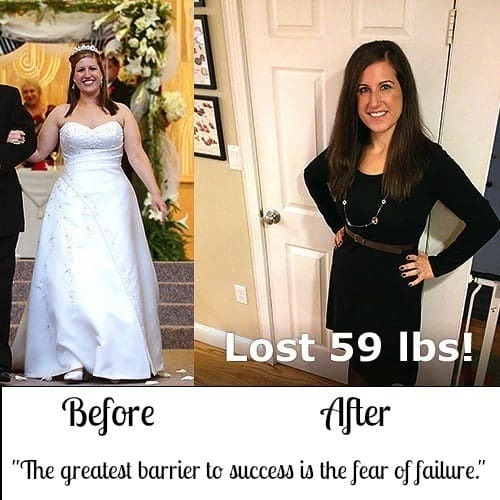 With every new “decade” you hit on the scale (150’s, 160’s, etc) you can’t help but think back to the sense of accomplishment you felt when you originally broke through that particular plateau. My body craved carbs, and lots of them. One tablespoon of peanut butter? Ha! I listened to my body and threw everything I knew about calorie counting out the window. 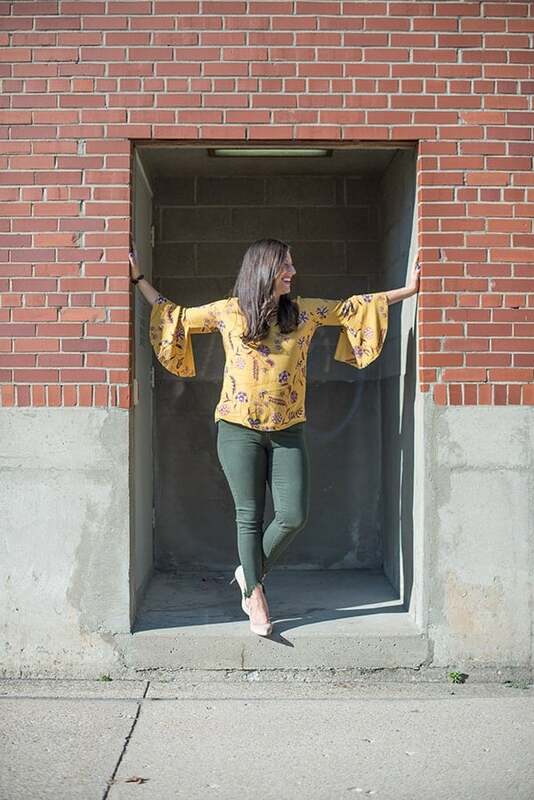 But in the back of my mind, there was always that lingering fear that this weight would never come off and I would never get back to my old ways of eating. Now that I’m safely in my second trimester, I’m happy to say that vegetables are once again my friend and I have a decent amount of energy to go to the gym or go for a walk most days of the week. Am I taking boot camp classes? No. But I’m moving and finding a healthy balance. Healthy eating is a permanent part of my life. Just because I randomly craved corn chips in my chicken noodle soup or splurged on a box of Reese’s Pieces doesn’t mean I’m not eating healthy, whole foods 80% of the time. It’s ok to let loose once in awhile. Kickboxing will be there when I’m ready. Since I get out of breath walking up the stairs to my gym, I can hardly manage lasting through my usual one hour kickboxing class but I will get there again. Just because some women run marathons at 9 months doesn’t mean I have to feel badly about taking a break from my old workout routine. I will get back to it. The weight will come off again, I promise. 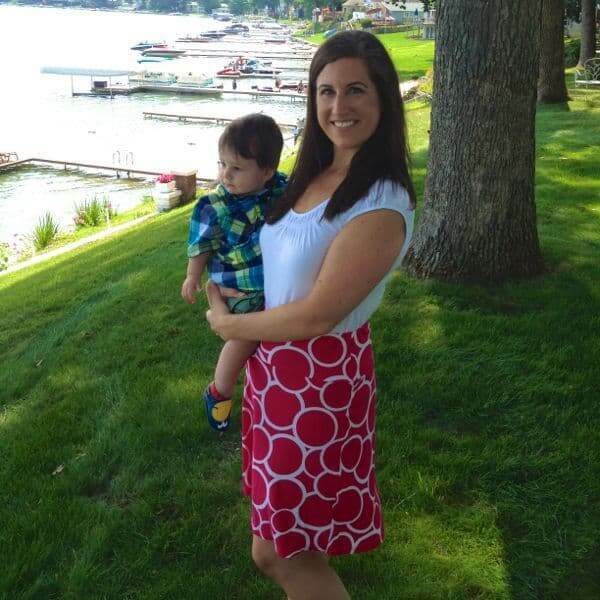 The first year after my first pregnancy I lost 65 pounds and wound up 15 pounds lighter than my pre-pregnancy weight. Just because you read about women who gain 10 pounds with every baby doesn’t mean that has to happen to you. Everyone is different. And if you do keep those last 10 pounds it’s ok too. 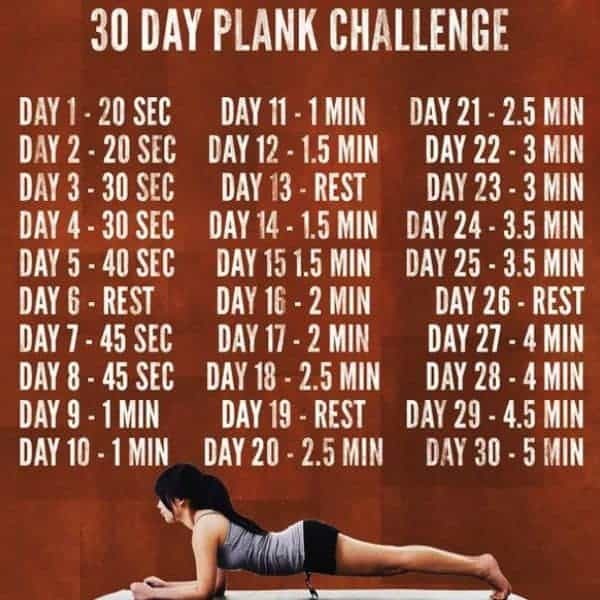 As fate would have it, yesterday I came across a 30 Day Plank Challenge shared on the Fit Mom MOVEment Facebook page. On a whim, I challenged my friends on Facebook and Instagram to join in the fun and it took off like wildfire. Apparently I’m not the only one who loves a good challenge! Have you ever struggled with these similar feelings about gaining back weight you’ve already? How did you cope? Would love to hear from you. Disclaimer: My feelings towards pregnancy-related weight gain are not to be confused with any lack of appreciation for being pregnant. Anyone that knows us personally knows that our two pregnancies have been pure blessings from God and complete miracles. Please know that I am not and will never complain about being pregnant. I can assure you I’ve never been happier in my life than when I’ve been pregnant. For more motivation, check out my Fitness Inspiration board on Pinterest! 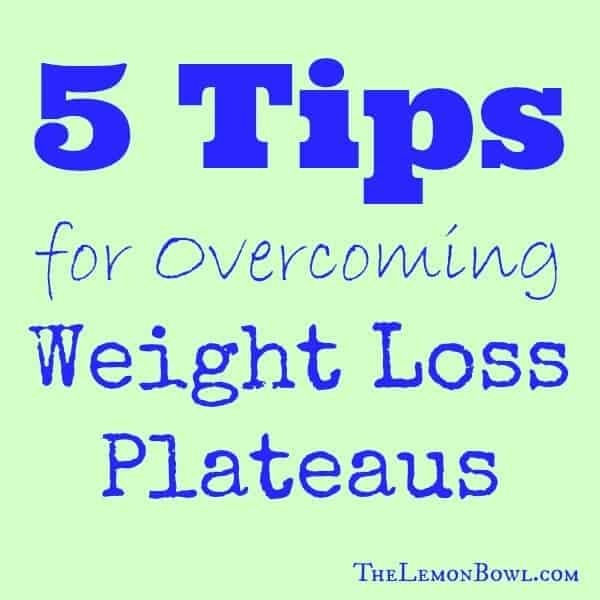 Follow The Lemon Bowl | Liz Della Croce’s board Fitness Inspiration on Pinterest. I am so glad to have found this site. I have struggled with my weight since sixth grade, coming in at 144lbs! At 10 years old, my 16 year old sister passed away, and at 11 my parents bought a convenience store. 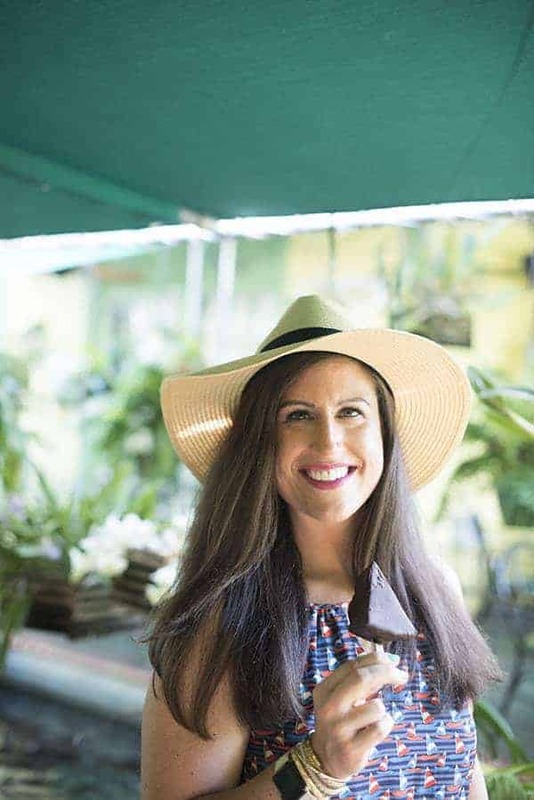 Because of the grief and shock, plus the absence of my parents – owning a business doesn’t leave much time for family – combined with convenience store pizza and chicken, by the time I graduated high school I weighed 265. Fast forward 5 years (2009) and I was down to about 240, started working at a pizza place part time and within months I was back to 260. This pattern repeated until about 2011, when I started dating the man I am currently with. I steadily lost weight by eating better (thanks to his healthy habits) and being more active. I became pregnant and the first few months my metabolism sped up so much I actually LOST weight. By the end of my pregnancy I had only gained 15lbs, and I gave birth to a healthy baby boy. Three weeks after birth, I was at 209lbs, back in my size 16 jeans (a long way from the 24 I wore in high school) and I was feeling great and looked the best I ever had. Even though I tried to continue eating healthy and being active, starting a desk job led to too much “bored snacking”, and inactivity, and I am disappointed to have to say I am back up to 255. After feeling defeated for a year, I have finally set my sights back on those size 16 jeans. I have started a nightly workout routine, researching healthy, satisfying, and nutritional snacks and meals, and I am very determined. I am aware of what weighing 209 feels like now, more than I was when I actually weighed 209, and I am looking forward to everything from looking better to moving better! I just keep telling myself I have lost weight many times before, almost effortlessly, so there is no reason I can’t do it again, especially if I am actually trying hard. Thank You for your inspiration, recipes and helpful hints – they are exactly what I need to start my road to weight gain recovery. Oh Megan your story breaks my heart. I’m so sorry for what you’ve gone through but so proud of you for making the choice to make your health a priority again! Congratulations on making the first steps. You WILL get back to 209 and I’m confident you’ll see 199 before too long as well. Take it one day at a time, one smart decision at a time and just do it again. And again. You can do this. Keep it up! My pregnancy days are years away haha (I’m only 17), but I completely related with this post. After losing 40 lbs, because of the senior year pressure and not being able to find time to exercise, I have gained a lot of the lost weight back. I’m afraid to look at the scale and I’ve decided I’m not going to because that’ll just make me more upset. I have just 2 more months of school left and I can’t wait to get back to focussing on my health. Oh I’m so glad you found the post to be encouraging!! I wish you all the best on your journey – keep me posted! I know you can do it! Excellent post! I had to make a lot of adjustments in my diet but the end result was great. I’ve shared some great information about my experience on my site. Please check it out. I’ve bookmarked this and shared it with my readers. Thank you for posting! So glad you resonated with my post Cathie!! I’ll be sure to check yours out! The thought of nourishing a young baby inside our bodies could really make us forget about diets and calorie counting. Why would we do that, the baby might just be in lack of nutrients if we do. I love your positive, refreshing attitude on this, Liz! Regardless of whether we’re going through the same thing, I think we can all relate that it is SO important to have a healthy attitude about our bodies and the changes they ALL go through as women. Wonderful, honest post that was a treat to read! This is a fabulous post, Liz! I have to admit that when I think about being pregnant one day there is definitely a small concern about the weight gain that goes along with it (more about being able to lose afterwards). This actually made me feel a lot better about thinking about it AND about the ability to lose the weight once the baby is born. I’m not pregnant, but I did lose a lot of weight and the scale slowly kept creeping up. I lost 35 lbs, and ended up gaining 20 of it back. I lost control, but now I am back, and the past two months I lost 10 of them. I have 5 more pounds to go to get to a happy weight and 10 pounds to go to get to a goal weight. Thank you for this post! Going to hit the gym today! You know what – I love that you have a “happy weight”!!! I do too and I think that’s the key to being satisfied in life vs. always searching for what you can’t obtain. Congrats on your successes! I agree! Pregnancy is something which is not to be seen with the prism of weight. Family and emotions are also important. Weight loss can be achieved by following some consistent rules for 2-4 months, but the joy you get from serving kids is unmatched. You are completely right!!! Thank you! I’m worried about the same thing. One of the biggest reasons I’m losing weight is because my doctor told me that at my before weight, I would be considered a high risk pregnancy by default. I told myself that I want to eliminate any pregnancy risks that I can control for my future kids (the obesity). Good for you for being proactive about your health Amy! Sometimes I kick myself for not losing the weight before I got married but I am happy I did it before pregnancy. Let me tell you, it’s hard work and I can’t imagine doing this at my old weight. Kudos to you for being proactive! And I wish you all the success in the world achieving pregnancy when you’re ready. Awww you are so sweet. Thank you for always saying the nicest things. I heart you and miss Baby S! Thank you friend. I think it goes through almost every woman’s head in some way or another! Oh I’m so glad you’re planking with us!! My first pregnancy I was so skinny I didn’t think about however once the doctor’s office scale hit 149 I didn’t want to get on there anymore! Second baby it was harder to maintain the weight but pregnancy is a time to really enjoy eating. The weight will come off. My husband being an OB/GYN sees the struggles with so many women and your story is an inspiring way to help. You are so sweet Cathy, didn’t realize your hubby was an OB/GYN. I think it’s hard because we never talk about it publicly but we all have our struggles. Beautiful job! I know how you feel, as much as you appreciate what your body is doing (you’re growing a human!) there is this anxiety and even depression about what is happening to your body. 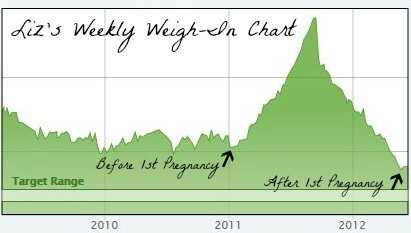 After three years I still am not back to “pre pregnancy” weight, although the food blog doesn’t help that! And even when other people tell me how great I look, it doesn’t matter. I still want to feel and look how I used to. Being completely honest, one of the things I struggle most with when thinking about trying to have a baby is the weight gain. I’ve always struggled with body image and maintaining a healthy weight. I love your outlook; you are such an inspiration! I can relate with this post on so many levels. I GAINED a lot of weight in college and took about 2 years for me to lose 60 lbs. Now after having my first child I have put 30 lbs. back on and I can’t seem to get motivation to lose it. It really can be hard and you just have to take it one day at a time. I think that’s why I love silly challenges like the plank a day. Who doesn’t have 20 seconds? You have such a wonderful attitude about this! How inspiring! You are sweet – it was years in the making. Thank you!! Love this post Liz! My husband and I were just talking about my attitude toward pregnancy weight gain is so so different this time around. I think mentally I’m feeling a lot healthier about it, knowing it’s temporary and it will come off like the other times. I will admit, I’m eating much much healthier than last two pregnancies and guess what, still gaining about the same – it’s how my body is built to build another body I guess! But I feel healthier really, because I’m trying to eat better. It took me years to finally lose the baby weight from first two (plus some extra that needed to go), it was total work…I was at a good place before I got pregnant, will get there again! We will do it together sista! !